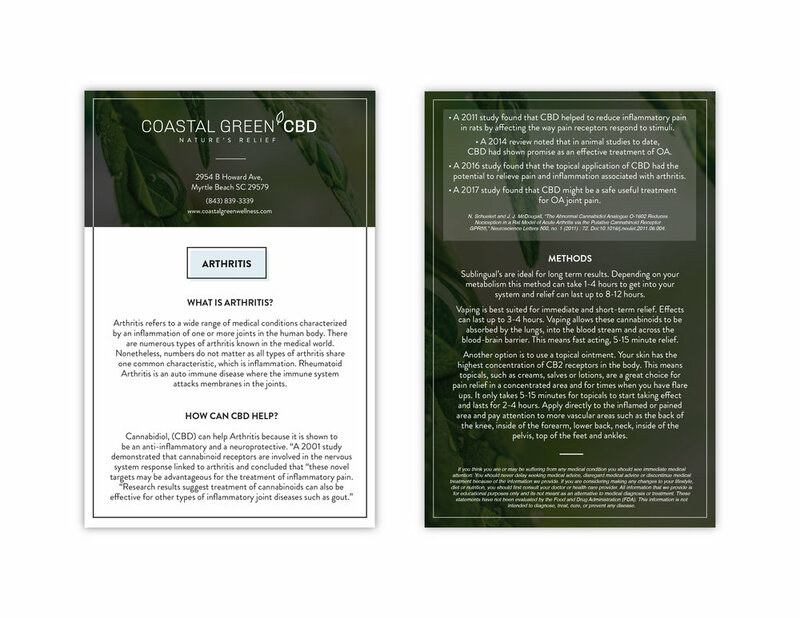 Coastal Green CBD is South Carolina's first CBD and Hemp Wellness Center located in Myrtle Beach, SC. They provide CBD products as well as education on the ways Cannabis can be used medically. I was responsible for the logo and branding. A collection of materials I designed for Coastal Green Wellness being used in real time. Photos courtesy of Coastal Green Wellness (David Spang & Crystal Walter).